I am a Registered Therapist and Supervisor with the Association for Counselling and Therapy Online (ACTO) which means I am able to offer you online counselling and supervision service ‘live’, by video platform or Instant Messaging. My practice is based in the UK and therefore is subject to UK law. I have full Professional Liability Insurance covering work with clients and supervisees Worldwide, with the exception of the USA, where specific laws governing therapy and supervision make this impracticable. If you have any questions regarding working across time zones or geographical borders, please do not hesitate to contact me. Typically this work is carried out using tools such as Skype, VSee Messenger or Zoom – whichever you are most familiar with. (if you don’t use any, I’ll be happy to make a recommendation.) Alternatively, we can complete work by email exchange (where we don’t have to be online at the same time). When we work together online, I will review regularly how things are going and finish by agreement when you feel ready. If you want to try a different way of working at any time, please let me know. For video and IM sessions we will book an appointment in the same way as for face to face therapy. I will wait for you to contact me to begin the session. The length of a standard video or Instant Messaging session is 50 minutes. I also allow up to 10 minutes following the end of the therapy session for us to book future appointments or deal with any other administration, so please allow up to 60 minutes for your appointment. Longer sessions of 90 and 120 minutes are available for clients needing supervision. For email exchanges, I will book an ‘appointment’ with you, which is the day when I will reply to your email. I will ask you to send your email at least 48 hours prior to this appointment date. I will send you a brief ‘receipt’ to confirm your email has arrived. Please ensure that any emails you send are encrypted or password protected for your security. If you need any help with doing this, please let me know. The VSee HIPAA Messenger app is specifically designed for the healthcare user – providing simple, secure video, text chat, document-sharing, peripheral streaming, and more. More details about Zoom Messenger including the free version can be found on the official VSee website, along with setup instructions. Zoom is modern, secure video chat service that is easy to use and is a great way for us to communicate – it’s also completely free when used for 1 to 1 conversations. Please follow these links to either sign up or login to the Zoom online services. The following steps will show you how to install Skype and use it to contact me. 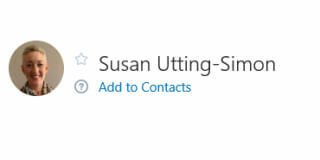 Skype is a Microsoft tool that allows you to make video and voice calls over the internet. There is no charge for private individuals to install and use the software. 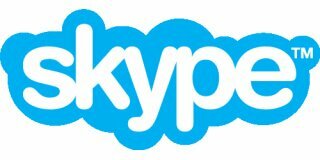 If you don’t already have Skype installed on your device, use this link to open the official Skype website and follow their installation instructions. 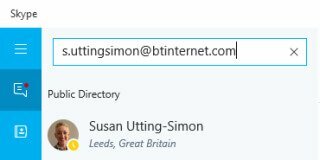 Select my name from the search results and click Add to Contacts. Type a quick note to introduce yourself and then click Send. Please remember that there are no online facilities for therapy which can be guaranteed absolutely secure with no risk of information being obtained by a third party. However, I take every precaution available to me to protect your privacy and I would strongly advise you to do the same. All emails I send and any notes I keep regarding our work are password protected and I do not share the use of my computer with anyone else. It is important that you consider how to maintain your own privacy during our work together; for example, not using a work or college computer and being careful about where you choose to sit whilst our sessions take place. If you want any help or suggestions for how to keep things private online let me know.